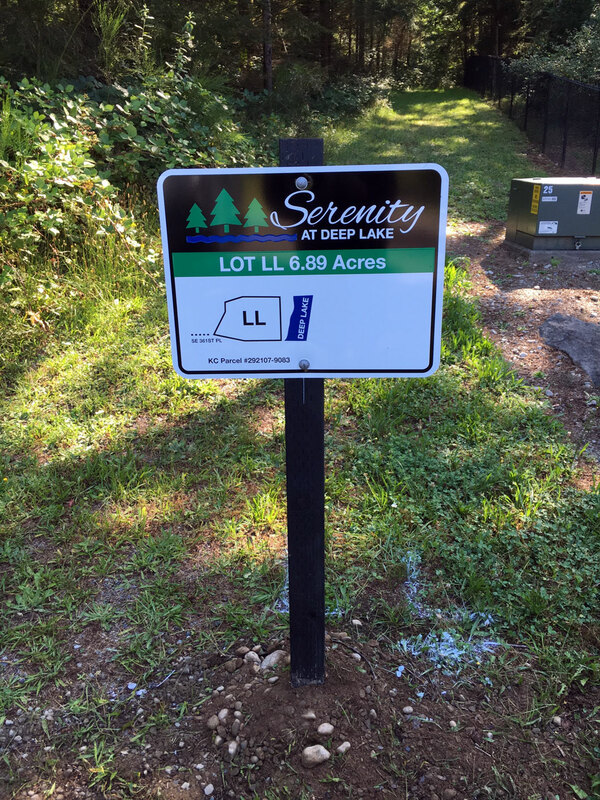 For a limited time only, there are exclusive plots of land for sale in the deep green forests of the Pacific North West. 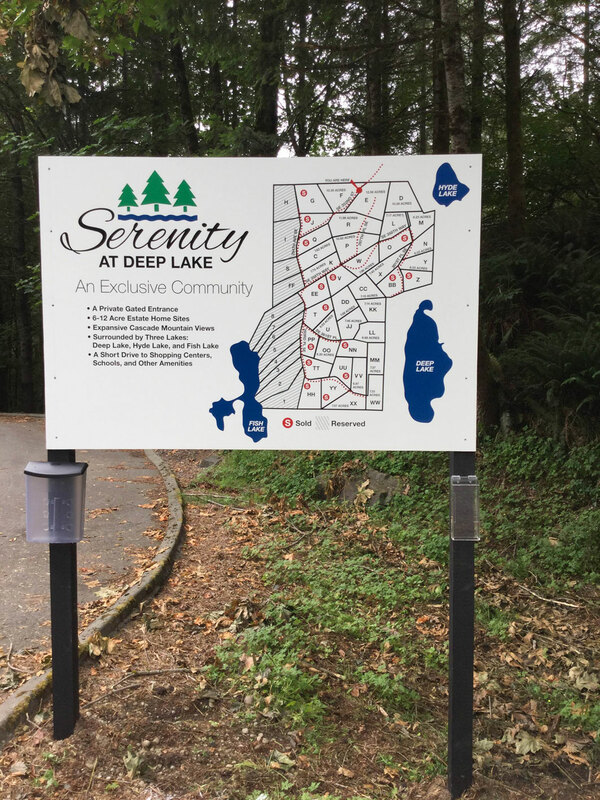 Loud Graphics had the project of design and production for the multiple plot sign along with the master map of “Serenity at Deep Lake”. 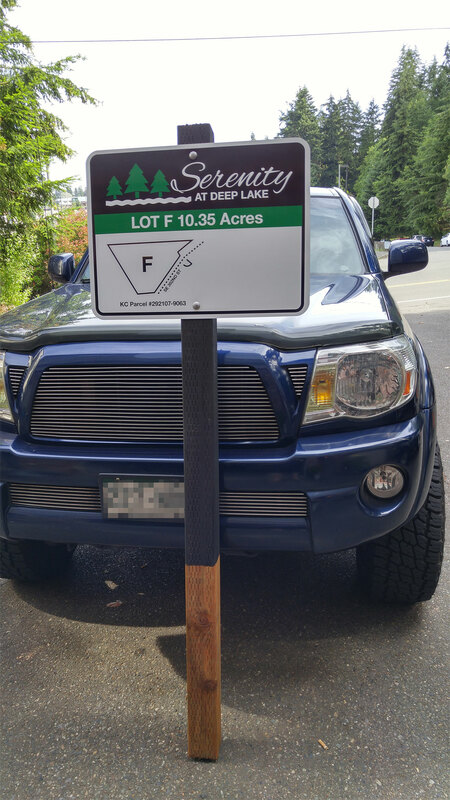 To battle the wet environment, we opted for aluminum sign blanks with old school vinyl cutting, along with a sturdy sign post to stop those pesky Elk. What we don’t know is how bigfoot will react to his new yard additions.